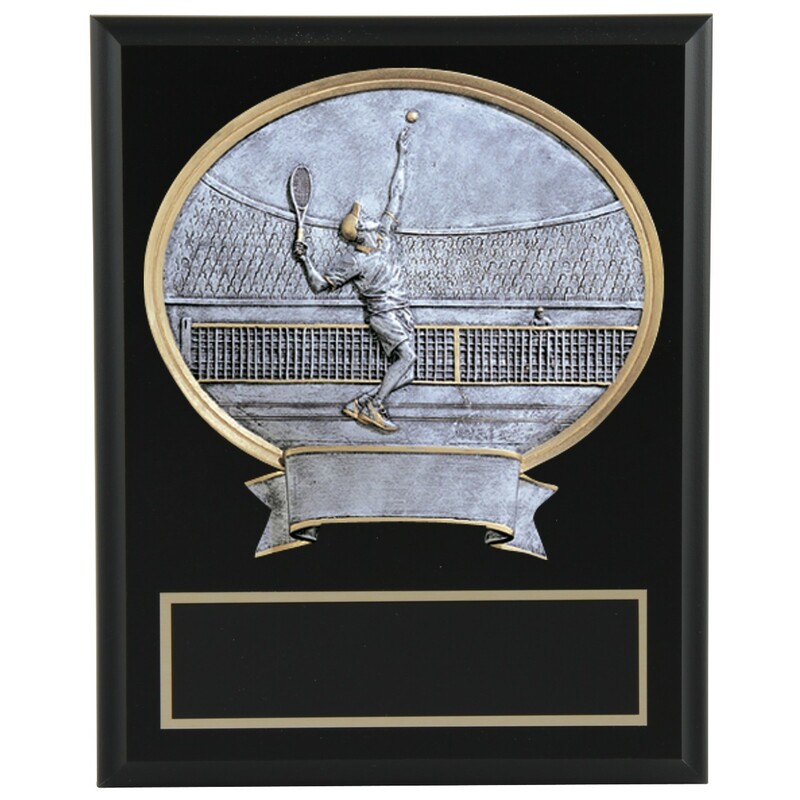 Reward that smashing tennis achievement with the Oval Tennis Wall Plaque. 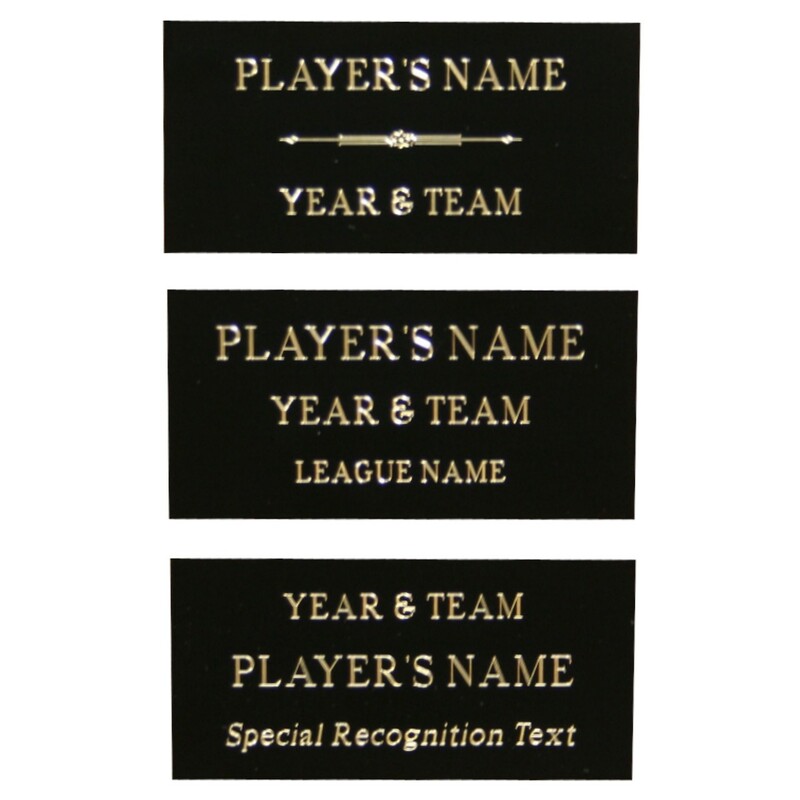 This elegant black plaque features a gold and silver-toned oval resin with a design of a male or female tennis player mid-serve. 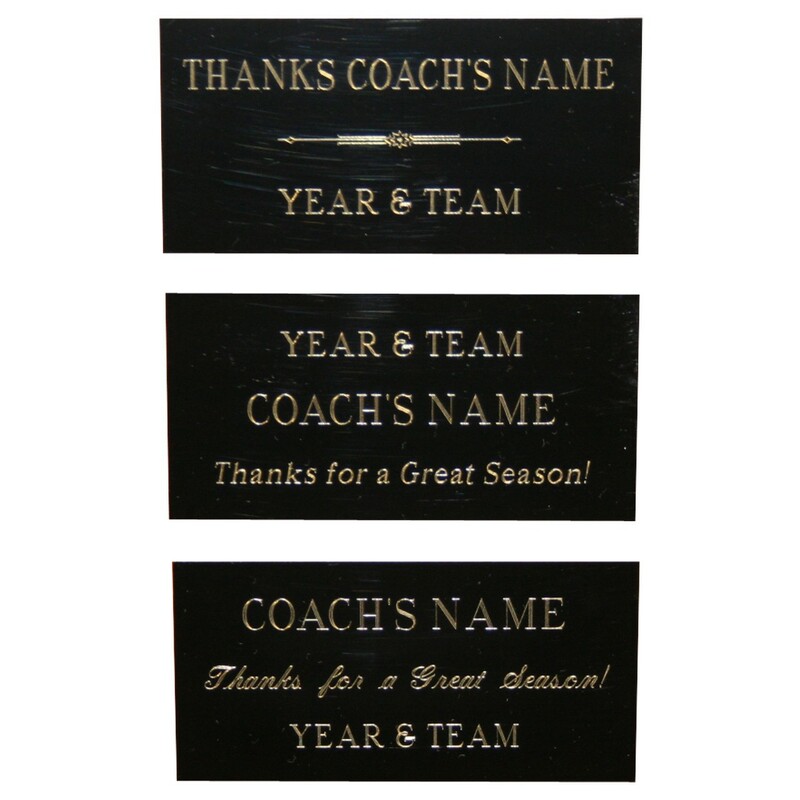 Measures 10 inches tall by 8 inches wide. 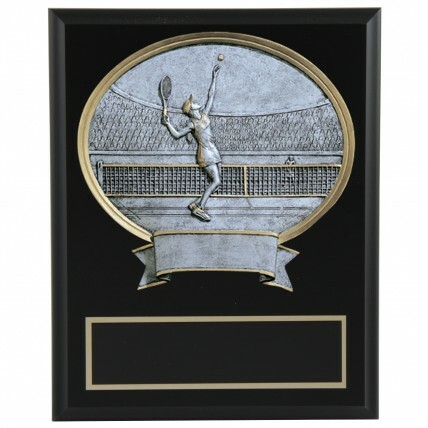 An excellent gift for your favorite tennis player, sponsor or fan!